The Humane Society of the United States reports that a healthy dog or cat is euthanized every 13 seconds because not enough people step forward to provide a loving home. Spaying female pets and neutering male pets make them permanently sterile and reduce the number of unwanted animals in Newport Beach, CA, and the surrounding communities. These procedures offer numerous other benefits as well. Cats who remain unaltered go through heat cycles multiple times a year, while unaltered dogs go into heat twice a year. A single cat may have hundreds of kittens in a typical 15-year lifespan. Cats in heat become aggressive and loud in their attempts to attract male cats for mating. A dog or cat who has been spayed doesn’t have the same desire to roam around Newport Beach, CA. This increases her safety. Because spayed cats don’t send off mating signals, male cats are much less likely to bother them if they go outside. A spayed cat has a lower risk of developing cancer of the ovaries, uterus, and mammary glands. Female cats receive the greatest protection against these issues when they are spayed before going into heat for the first time. Aggressive behavior is common in male dogs and cats who are trying to find a female for mating purposes. 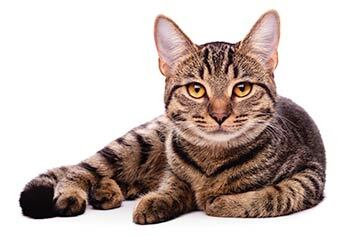 Unaltered male pets mark their territory by spraying urine, which produces a rather foul odor. They are also more likely to roam and to bite people or other animals. Neutered pets have a lower risk of prostate disease and testicular cancer. Your pet can be spayed or neutered as early as five months of age. Please contact Newport Center Animal Hospital at (949) 644-5460 to learn more about each procedure and to schedule an appointment for your pet.